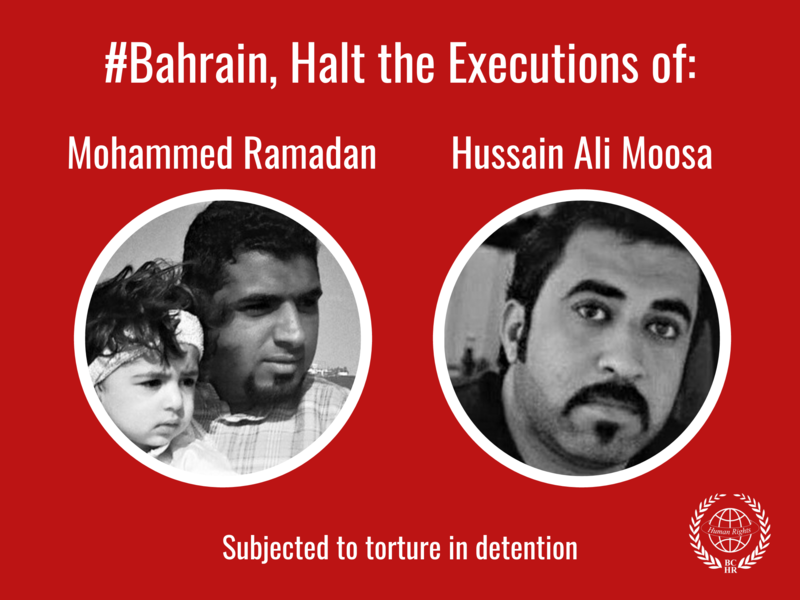 Bahrain Center for Human Rights is extremely concerned over Bahraini regime continuous oppression and ill-treatment of 14 activists detained in Al Gurain military prison who have been on hunger strike for 13 days, objecting the arrest of 40 women at a peaceful protest and demanding their immediate release. As a punishment they were denied health care by the prison administration. The center worries for the lives of activists, especially that two activists’ health is deteriorating. One of them, AbdulJaleel AlSingace who suffers from poliomyelitis and has previously suffered a heart attack after going on hunger strike. After more than 40 women were arrested, humiliated and beaten at a peaceful protest, 14 detained activists started a hunger strike demanding their release. Although some of the women have been released, but at least 15 still remain in detention and the activists continue their strike. Today marks the end of the 13th day of their hunger strike. In phone calls to their families the activists said they were under a lot of pressure from the prison management to end their strike and as punishment they have been denied any medical care and checkups. They also said that the health of two activists has deteriorated. Those activists are Abdulwahab Hussain and AbdulJalil Al Singace. Photo: AlSingace in a protest Al Singace was arrested from the airport in August of 2010 when he came back to the country after participating in an anti torture seminar in London. 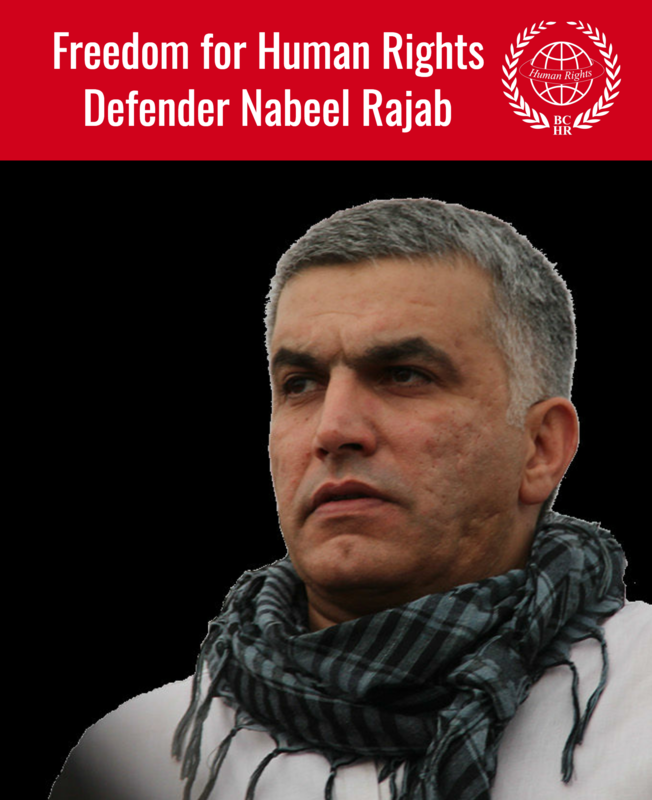 He was detained for 8 months during which he was tortured severely he had to be hospitalized. Because of bad prison conditions and ill-treatment Al Singace went on hunger strike, on the 10th day of his strike he got a heart attack and had to be hospitalized again. After 8 months in prison, Al Singace was released, he spoke publicly about the torture he was exposed to in prison. Twenty days after his release he was re-arrested, in March of this year. When the detained doctors went on hunger strike, Al Singace joined to support their demands and suffered from high blood pressure and slow heart rate as a result. Al Singace suffers from partial paralysis known as Poliomyelitis or Polio. Considering his health and medical background his family are now afraid for his life after 13 days of hunger strike. Considering that the activists have already been on hunger strike for 13 days and intend to continue until the release of the female prisoners it is necessary that urgent action is taken. Without medical care and checkups the danger these activists are in increases.